River Song perished in The Library the day The Doctor met her ... or did she? He's a Time Lord with all of space and time at his disposal. Is it really that hard to believe he could do just a little better than that? 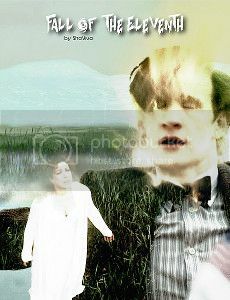 Season: between season 6 and 7, after the events of The Wedding of River Song and The Doctor, The Widow and The Wardrobe. Spoilers for: to play it safe, everything up to the 2012 Christmas episode, particularly everything involving River Song, especially The Impossible Astronaut/Day of the Moon; A Good Man Goes to War; Let's Kill Hitler; The Wedding of River Song; Night and the Doctor – First Night; Night and the Doctor – Last Night. Also BIG spoilers for Silence in the Library and Forest of the Dead. Acknowledgements: to wikipedia and the Doctor Who wiki in particular where I always found something interesting when I needed it. If you see something familiar from old Doctor Who, that's where I found it. Also big thanks to drwhotranscripts dot blogspot dot com dot au where I went whenever I needed reminding on who said what when. Story Status: 20 chapters, approx 63,000 words, COMPLETE.